Last edited by trancefan0883; Nov 21st, 2013 at 11:22. It's the best time of the month! 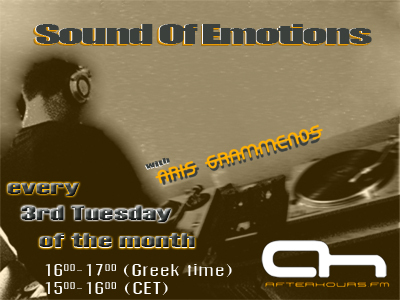 Time for THE SOUND OF EMOTIONS! welcome to the last episode of this year... lets get started! and THAT is how you start a set! Simply Amazing as always Aris!